Click on the English word to see information and examples of that word in use (you probably won’t be able to understand the grammar within the sentences at this point, but it is good to see as you progress through your learning). Notes: 키 means “height” in Korean, but not the “height” of a building or some other object. It is only used when talking about the height of a person. “크다” means ‘big.’ The adjective for tall is 키가 크다, which just indicates that your height is big. Notes: 주년is usually preceded by a number. Notes: When exercising, the Konglish word “폼” (form) is often used. 이 자세 맞아요? = Is this posture right/correct? ~ㄹ/을 까봐 걱정되다 = to do something because one was worried about…). See Lesson 65 for more information. In most situations, removing ~하다 from a word and placing “마” after it is unnatural. However, in this case “걱정 마” is very common. 많이 걱정돼요 = Are you very worried? Notes: When washing one’s hair, the verb “감다” must be used. 손을 씻으세요! = Wash your hands! 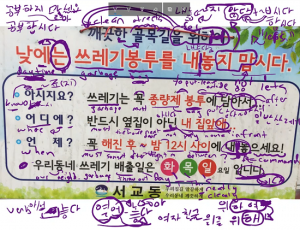 Notes: “이야기” means “conversation, story,” but the verb “이야기하다” means “to have a conversation with/to talk with.” 이야기(하다) is often shortened to 얘기(하다). 좋은 영화를 추천해 주세요 = Recommend a good movie, please! Notes: Korean people would use the word “좁다” in make cases where English people would use the word “small.” Especially if an apartment or room is small, Korean people would say “방이 좁다.” The direct English translation of “this room is narrow” is unnatural in English. 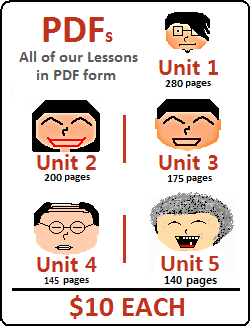 See below in this lesson for more information. Notes: Placed before certain nouns to indicate that noun is from a long time ago. 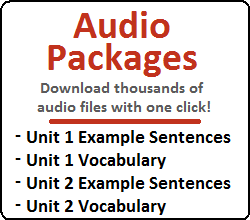 You might also want to try listening to all of the words on loop with this Vocabulary Practice video. 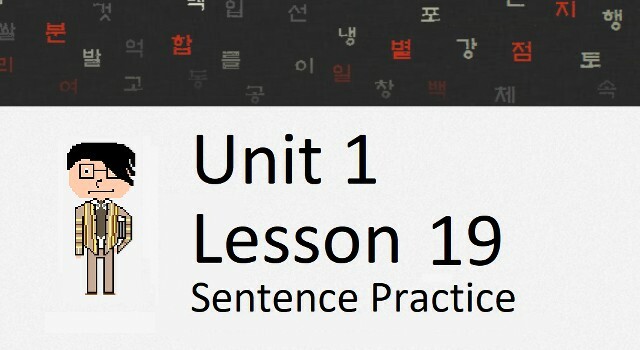 In this lesson, you will learn how to make comparative and superlative sentences in Korean. Using comparative sentences, you will learn how to make sentences like “I am more beautiful than you” or “he is faster than his brother.” Using superlative sentences, you will learn how to make sentences like “I am the most handsome person in the world.” In addition, we will take an in-depth look at the word 더, which is commonly used in comparative sentences. Let’s get started. So far, you have seen how 더 can be used in simple sentences without any specifically identified comparison. It is also possible to indicate what the situation is being compared to. I will discuss this in the next section. In English, depending on the word that you are using to compare, the conjugation is different. I can’t imagine how annoying this would be for an English learner. Luckily, comparatives in Korean are much simpler (or is it more simple?). Notice here the example “잘생기다” (handsome) is conjugated into the past tense. When conjugating 잘생기다 and 못생기다 it is always more natural to use the past tense conjugation. You don’t really need 더 in these types of sentences. The use of ~보다 in these types of sentences would also carry this meaning. However, there is no harm in including it. Although ~보다 is not used in the sentences above, by context the listener assumed that the speaker is referring to the time where he/she had a cold. 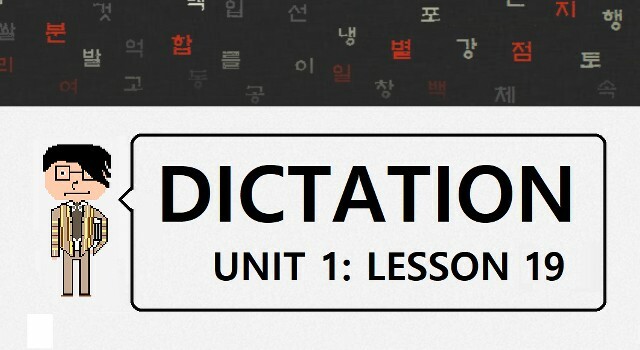 One more quick thing – it is kind of funny/cute slang to pronounce 덜 as 들. I suggest you try it out sometime. Korean people often get a kick out of foreign people speaking in slang-like language. They usually can’t get over the fact that we know Korean, let alone the fact that we know a bit of slang. A synonym of “가장” is “제일,” which is often used in speech. However, you can add 가장 to 좋아하다 (to like) without an adverb to indicate that you ‘like something the most.’ (This is also how you say “my favorite” in Korean). The grammatical principle needed to add this extra level of complexity to your sentences is introduced in Lesson 33. Two adverbs that 가장/제일 are often used with are 잘 and 못, which will be talked about in the next lesson. Want to try to create some sentences using the vocabulary and grammar from this lesson? 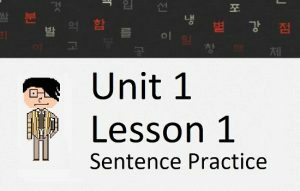 This YouTube video will prompt you to translate English sentences into Korean using the concepts from this lesson. This YouTube video will prompt you with Korean sentences to dictate using the concepts from this lesson.